Easy and economical way to get a world class glide. Recommended to all racing skiers from juniors to elite racers. Can be used as a “boost” on top of powders. 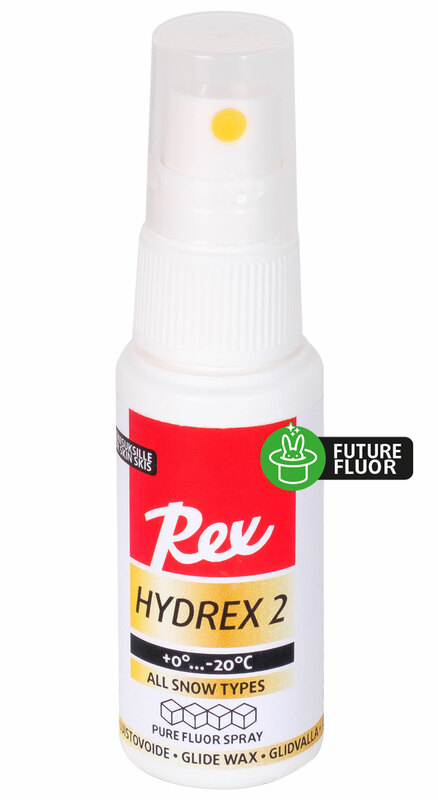 Our completely renewed Hydrex 2 now PFOA-free, without sacrificing performance. Widely used in racing for coating klisters. Increases gliding properties of grip wax without affecting grip, decreases icing and repels dirt. Hydrex 2 is also the best possible treatment for skin skis! Can also used as a glide wax between +3...-5°C on coarse and dirty snow. Sapporo is a gel containing molybdene. Designed for coarse, wet and granulated snow. You can also use it on dry grained snow down to -20°C. An evolution of SLC Gel, it is suited for colder conditions when the snow is transforming from fresh snow to older coarse snow. Ruka is a gel containing molybdene. Works best on mild frosts and on groomed or manmade, tilled, snow.